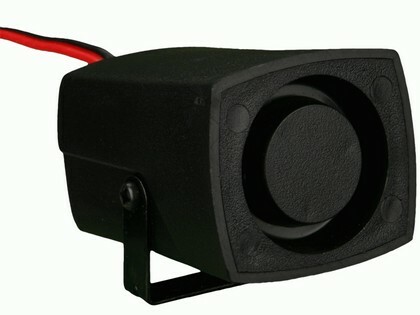 The Install Bay Mini Piezo Siren The Install Bay Mini Piezo Siren, Mini Piezo Siren, Alarm Mini Piezo Siren, Car alarm siren, truck alarm siren, suv alarm siren, Install Bay IBSIRENM Mini Siren, [Install Bay IBSIRENM Mini Siren] - $37.95 : 3rd Strike Performance, Your Source for Late Model MOPAR Performance Parts and Accessories! Having high-end mobile entertainment components does no good if the installation is not done correctly. The folks at The Install Bay pride themselves on providing a complete line of products to make any mobile audio or interior installation possible. Whether you are a professional shop or simply a hobby level enthusiast, the products from The Install Bay offer superior quality at attainable prices. Based in Holly Hill, Florida the company’s products have been featured in numerous television programs including Pimp My Ride and Monster Garage. Boasting technologically advanced designs and top level materials, The Install Bay has what it takes to complete virtually any installation the right way.